Located on a scenic waterfront tract of land on the former site of Hunters Point Shipyard and Candlestick Park, this project's two blocks of urban infill are coordinated with a larger master plan that creates a new residential community. The project’s two blocks of urban infill are coordinated with a larger master plan that creates a new residential community. 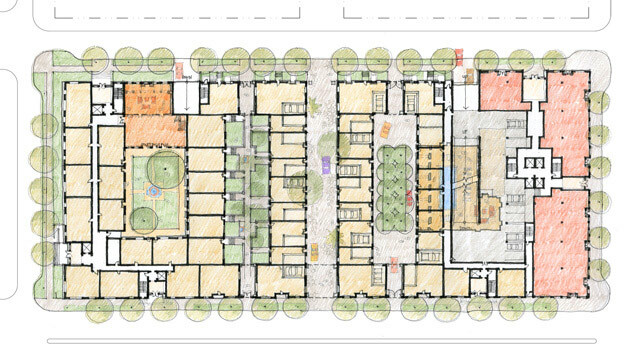 Variations in building massing, diverse unit types, provisions for open space and a pedestrian-scale mews all help establish a walkable neighborhood. The project incorporates 15,000 square feet of retail space and 330 residential units that include townhouses, row houses and stacked flats. 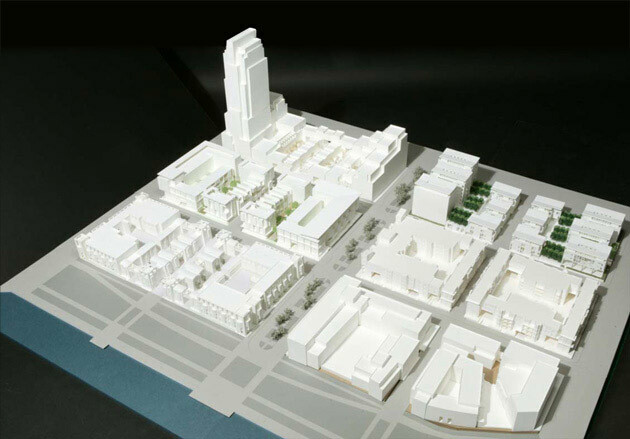 Hunters Point’s most unique strategy is the blending of residential density, as expressed in the contrast between lower-scale row houses and the taller tower. 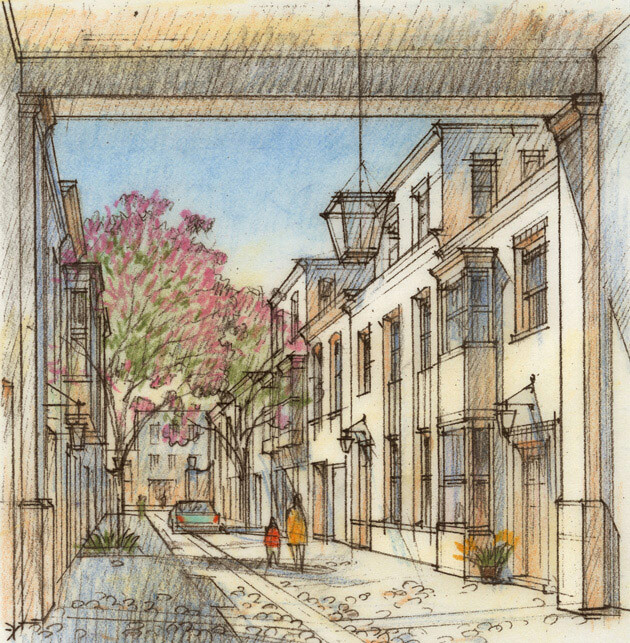 An important traditional typology in San Francisco, the lower density row house is applied to street level for the majority of the two blocks, offering individual garages and front-door access to an attractive mews. 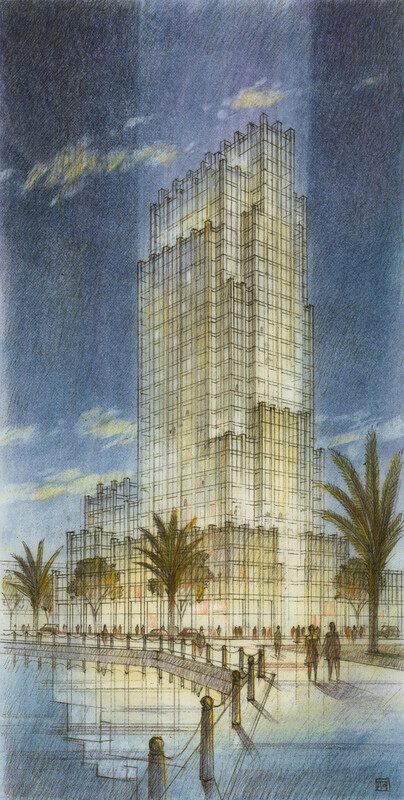 The 31-story tower concentrates the master plan’s highest density on one portion of the site, offering spectacular San Francisco Bay views and convenient access to the commercial space and parking below.